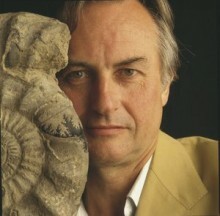 Stephen Baldwin vs. Richard Dawkins? Hemant Mehta, at The Friendly Atheist, linked to a video showing Stephen Baldwin commenting on evolution during Celebrity Big Brother 2010 UK… and an explanation by Richard Dawkins showing why Baldwin’s comments are ignorant bunk. Itâ€™s both funny and sad when you realize the person who is the most ignorant about evolution is the person who appears to be the most confident in his knowledge of it. I find that to be true for a number of other scientific issues as well. I love this video for the Richard Dawkins Foundation for Reason and Science. It was made for their 2009 fundraising effort and it’s extremely well done. Ray Comfort theÂ “ambush” evangelist and author has written his penultimate tour de force, Nothing Created Everything. Speaking of nothing, let’s talk about Ray’s sales figures compared to Richard Dawkins’. Dawkins released his book, The Greatest Show On Earth, the same day as Comfort’s. Dawkins’ book has been on Amazon’s top 100 list for 66 days now. Comfort’s book? (Now is the part where you hum the Jeopardy Game Show’s, “I’m thinking” music) It hasn’t made it there yet *Craig crosses fingers*. It’s hard to believe that a man like Ray Comfort hasn’t hit a homerun with his latest tome. Out of all FIVE reviews on Amazon’s site it has one VERY complimentary review! And, oh wait. Who wrote the review? Why look, it was the author himself! Yeah, Ray “Banana Man” Comfort, objetively *gulp* reviewed his very own book. Well done Ray! Just when I thought your ethics hit a new low with your Michael Jackson Million Dollar Commemorative Tract, you prove me wrong again! (Craig screams like Captain Kirk in Wraith of Khan, ” COMFORT!!!!!! “) Here is a link to Comfort’s brilliant expose on his own masterpiece, http://www.amazon.com/review/R3TFXA8B1XARBQ/ref=cm_cr_pr_viewpnt#R3TFXA8B1XARBQÂ .Â Please take note that “2 of 28 people found the review helpful”. I guess Ray’s wife and Kirk Cameron really appreciated his hard hitting review. I wonder what the book’s own website has to say about it in it’s reviews section? Let’s check: http://www.nothingcreatedeverything.com/category/reviews/Â . Wow! What a shock there are…none. I guess there were too many positive reviews hitting the server and it crashed…uh huh, that’s it. It is worth noting that of the *giggle* five reviews on Amazon, Ray’s was the only positive one in support of his book. To be fair the comments left by Comfort were less a review and more a promotion of his book. This still says nothing for the fact that there are only four legitimate reviews of this book. Four? FOUR? By the way none of the four were even positive. The release of this book is only harder evidence for the non-existance of a God. For if there was a God, the skies would surely be filled with the rain made of his tears. Richard Dawkins has a DVD titled The Genius of Charles Darwin which includes interviews with various people about evolution. Today, in a post on Pharyngula, PZ Myers told folks from the Secular Student Alliance that, if they’re engaged in conversation during their visit tomorrow at the Creation Museum in Kentucky, they can probably expect the type of exchange in the following interview from the DVD. It’s in seven parts and the seventh video drops partway through the dialogue (which evidently it does on the DVD, too), but seven parts is more than enough. I watched all seven, but really, after the first video, there wasn’t much point in continuing. It was somewhat like the old “watching the train wreck” scenario, though, that kept me going. The interviewee, Wendy Wright from the Concerned Women for America, really didn’t listen to the questions… or answer them… or acknowledge what Dawkins was saying… or make much sense. It almost seemed (!!!) as if she were a talking head who mechanically distributed creationist talking points… and who could really do nothing else. Dawkins tried his best and was incredibly tolerant and polite, though you could tell he was frustrated during many of the exchanges because Wright wouldn’t acknowledge what he was saying. She repeated, ad nauseum, the claim that there is no evidence for evolution, and refused to acknowledge his examples of evidence… even to disagree with them! It was as if Dawkins wasn’t even speaking. She even made claims that DNA evidence which supports evolution really supported special creation. Dawkins was tossing out pieces of evidence but it was like throwing ping pong balls at a brick wall. There were so many times that she implied that the evidence was irrelevant to what she believed. Watching the full video was painful, but educational. Wright is actually the president of the CWA, who’s website bills her as a “Policy Expert and Activist” and a “United Nations Lobbyist.” This is not a “fringe” representative of a fringe organization, but someone who engages the media on a regular basis, evidently. It’s painful to hear someone like Wright, who is so willfully ignorant of facts (and reality), try to influence public policy. Watch the video if you can stomach it. I’d love to hear comments. Richard Dawkins told a news reporter that he will debate me for $100,000 per hour. He is afraid, and he thinks heâ€™s safe because I wonâ€™t pay that much money for an hour of his time. 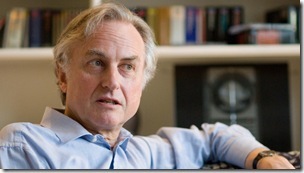 [Dawkins] is also a giant among intellectuals, and for years I have listened to him spout his blasphemies against God. Iâ€™m a nobody from a sheep-herding country, but I can see a gap in his armor. Thereâ€™s an army of atheists hiding behind Mr. Dawkins waiting for him to feed me to the birds, and he is proving to be nothing but hot air. What an embarrassment to the atheist community. I have said that I will give him $40,000 an hour.Â Let’s see what he says. I doubt that fear is what Dawkins is feeling and I’m sure he does think he’s safe, but not for the reasons Comfort probably thinks. And yes, Comfort is a nobody… a nobody with silly, non-scientific claims… which is why Dawkins shouldn’t lend him any credibility by appearing on stage with him. Most of the comments I’ve read from atheists don’t want Dawkins to debate him for just that reason. They’re not “hiding behind Mr. Dawkins” waiting for him to destroy Comfort’s arguments. So Dawkins is far from an embarrassment. As for the $40,000, why is Comfort trying to barter down the worth of God’s word? It certainly looks like that’s what he’s trying to do (not that I think “God’s word” is worth anything to start with, but Comfort certainly does). He’s also misrepresenting the recipient of the target amount. Dawkins doesn’t want the money for himself. He wants Comfort to donate the money (tax-deductible) to the Dawkins Foundation for Reason and Science, a non-profit organization. All Mr. Dawkins has to do is go into a BBC radio studio in his home town of Cambridge and give 30 minutes on why God doesnâ€™t exist. He doesnâ€™t even have to acknowledge that I exist. That’s odd because his original offer was for Dawkins to participate in an actual debate with each participant having a chance to respond to the other. This new requirement seems to change not only the time involved, but any chance for Dawkins to directly respond to any of Comfort’s retorts. It’s like Comfort is trying to make the whole thing more one-sided as the he tries to negotiate the price. I mentioned earlier that Ray Comfort has challenged Richard Dawkins to a debate about the existence of God and why Evolution is scientific. Comfort was even offering to pony up $10,000 to Dawkins (or the charity of his choice) as an incentive. My hope was that Dawkins would refuse the offer with an appropriately scathing reply, but not too publicly so as not to give Comfort any undue media exposure. Well, it seems Dawkins did just that… but in an enhanced manner. Check it out. It’s definitely worth a read. Dawkins responded on his own web forum. He didn’t specifically decline, per se, but upped the ante a bit. In order for him to accept the “debate” challenge, Comfort would have to donate $100,000 to the Richard Dawkins Foundation for Reason and Science. It’s beautiful. Not only will Comfort probably not agree to that much money, but even if he did, he’d be making a significant donation to a charity organization that stands for everything he opposes. Dawkins’ counter-offer effectively negates Comfort’s assertion that scientists are afraid to debate creationists. However, if Comfort refuses to agree to the counter-offer because of the money issue, it could be said of him that he’s not strong enough in his convictions to think them worth $100,000. If there’s more at stake than a measly $10,000, perhaps Comfort doesn’t have the stomach to stand up for his beliefs. It’s all well and good. I certainly still hope that such a “debate” never takes place since it would lend unwarranted validity to Comfort’s misleading statements and outright lies. Nor would it serve any productive purpose. As I’ve mentioned before, it takes far less time and energy to make up lies than it does to refute them all scientifically… and Comfort is a master at making up lies. Perhaps that is the Way of the Master. One annoyingly common accusation levelled against atheists is that they “preach” atheism with evangelical fervor and promote atheism in an attempt to rid the world of religion. There are various versions of this claim, but a common thread is an implication that atheists have suddenly decided to make their lack of belief known by attacking the poor persecuted Christians (or Muslims or Jews, etc). A couple days ago, I read this opinion piece by Reverend Eric Strachan which makes a similar accusation with special emphasis on the recent bus ad campaigns in London, Calgary, and Toronto. He mentions “the Christian era,” referring to something that was in the past. In the Christian era there was a bit of a stigma associated with not believing in the existence of God, but in this postmodern era, with the focus on individual autonomy, and a move away from institutional religion, atheists by the score have come out of the closet, and they’re “preaching it, brother,” with evangelical fervour! He seems to imply that we no longer live in “the Christian era.” It seems an absurd statement in a country where 85% of citizens are still admittedly some type of Christian… where Christians are continually making attempts to create legislation based on their 2,000-year-old holy book… where sham science organizations like the Discovery Institute continue to push their agenda to destroy science education in this country in favor of the supernatural. As for the “stigma” involved, there is no minority group with a more negative stigma than atheists. In repeated surveys, atheists rank significantly below African-Americans, Jews, Muslims, and homosexuals in public acceptance. So Reverend Strachan’s statement seems to indicate a bit of ignorance regarding the current social stigma associated with atheism. Dawkins vs. Comfort? I hope not. It seems that the logic-challenged evangelist, Ray Comfort, has challenged Richard Dawkins to a debate about the existence of God and why evolution is scientific. Comfort is also “sweetening the offer” by offering $10,000 (win, lose, or draw) to Dawkins, either to him or to the charity of his choosing. I have a few comments here. First, Comfort is already known to be ignorant of the topic of Evolution. He’s also known to be an outright liar about it. I have no doubt that Dawkins could heap monumental amounts of scientific evidence for Evolution onto Comfort, but it would all be ignored completely… or dismissed with Comfort’s smug and infantile “But how do you know? 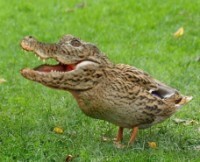 It takes a lot of faith to believe all that.” I don’t see any point in Dawkins partaking in that sort of debate. Second, Comfort is known to use the most absurd arguments for his points ad nauseum (every building has a builder, prove Darwin existed, are you a good person, there’s no evidence for evolution, females and males would have had to evolve separately, atheists don’t exist, etc), despite each point having been soundly debunked repeatedly from many different sources. There’s little doubt that he would do the same thing in a debate with Dawkins. Why waste the time? Third, Comfort’s Creationist points are absurd, unprovable, and unscientific. If Comfort wants to advance his Creationist agenda, perhaps he should take Nicholas Gotelli’s advice and publish his ideas in some peer-reviewed scientific journals. As Professor Gotelli says, scientific disproof of evolutionary theory or scientific proof of God’s existence would be “Nobel Prize winning work” and would be eagerly published by many scientific journals. None of Comfort’s arguments, however, have any scientific basis, so he’s pretty much out of luck there. It doesn’t stop him from perpetrating his lies, however. Forth and finally, I don’t think Comfort should get the press time. Having Dawkins agree to debate Comfort would be like a battle of the bands between The Rolling Stones and a local junior high school garage band… only that the garage band members would have to be making grandiose claims about how their musical genius and instrumental skills far surpass anything that the Stones have ever possessed… and the extra publicity would just fan their flames and subject their suburban neighbors to more horrid 3:00 am “practices” at screechingly high, sound-distorting volumes, waking babies and raising blood pressures. I doubt Dawkins is “afraid to debate” Comfort. I rather suspect that Dawkins would think the idea absurd and realize that it would be a no-win situation since Comfort has no need (or compulsion, it seems) to rely on facts, evidence, or even truth. I sincerely hope that Dawkins declines with an appropriately scathing response… publicly enough that those interested in the topics can read the response, but not publicly enough that Comfort would get any decent press out of it. Comfort will, no doubt, use a declination to support his claim that “evolution’s most staunch believers are afraid to debate,” but he’ll do it in his own little bubble of a venue, gaining no additional notoriety, and will be refuted by his readers only. That’s what I’m hoping for, anyway.